• 20 pages & 41 high-resolution grayscale images. In 1962, Remington Arms introduced a bolt-action rifle that had an immediate and major impact on the shooting world. 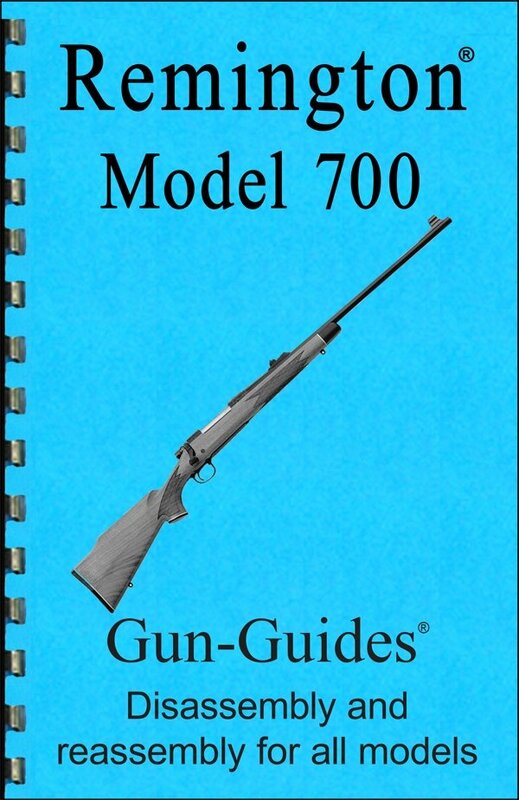 Advertised as, “the world’s strongest bolt-action,” the Model 700 ultimately earned its reputation for delivering out-of-the-box accuracy and rock-solid dependability. The 50th Anniversary rifle design is based on the original 1962 Model 700 BDL, a designation that was originally an acronym for B-Deluxe Grade. The classic look continues with a satin-finished “B” grade American walnut stock with right-handed cheek piece. Enhancing the classic look of the stock are cut fleur-de-lis style checkering, period-style white-line spacers on the black fore-end and pistol-grip caps, as well as a black-vented recoil pad. Further identifying the limited edition rifle for collectors and enthusiasts is a commemorative logo laser-engraved on the magazine floor plate. The durable 24-inch carbon steel, magnum-contoured, rifle-sighted barrel features a satin-blued finish for a striking appearance. The Model 700 50th Anniversary rifle is chambered in 7mm Remington Magnum. The cartridge was introduced in 1962 along with the Model 700. Founded in 1816 in upstate New York, Remington is one of our nation’s oldest continuously operating manufacturers. Remington is the only U.S. manufacturer of both firearms and ammunition products and one of the largest domestic producers of shotguns and rifles. The Company distributes its products throughout the U.S. and in over 55 foreign countries. All references to Remington® and Model 700 (TM) are trademarks of Remington Arms Company, LLC. Gun Guides® and this publication are not affiliated with or approved by Remington Arms Company, LLC.